versatility allows it to be used almost anywhere. It can be used free standing, (CE)or can ‘hidden’ behind a curtain, blind, or built into a cabinet(CD). 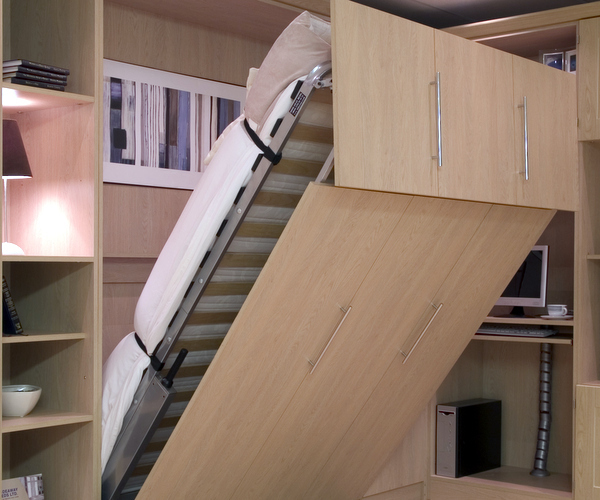 The CE Type can be installed in a cabinet at a later time to house the Swingaway wall bed. The CEVNT system is available for free standing, floor mounted installation in a closet, doorway or next to a wall. The CDVNT system for mounting in a cabinet of the proper size. Bi-Fold doors are installed on the cabinet sides. Please note – doors cannot be attached to the base of this bed. 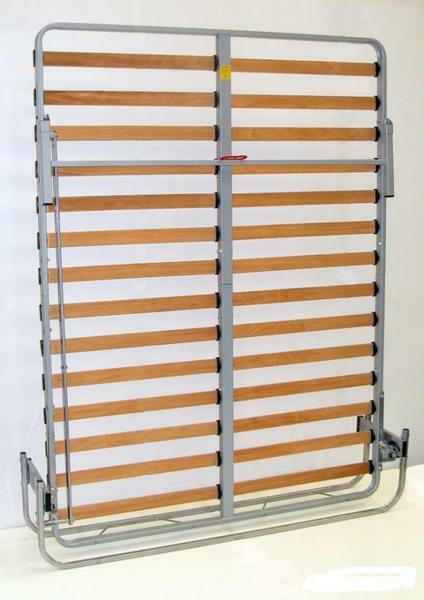 The CM Foldaway wall bed is designed to have a single, full-height panel door attached to the base of the bed. The panel can be adjusted to insure uniform door reveals. The door panel may be finished to flat panel, 2 panel, 6 panel, recessed or raised panel designs. The CM Foldaway bed has an adjustable mechanism for a safe, light and easy lifting action. The leg sits inside the bed when folded away, but when in use the leg is manually folded over the foot-end of the bed and sits on the underside to support the bed when in the down position. This system can be mounted IN a cabinet or BETWEEN two cabinets and a bridge. Perfect for kitchen and bath showrooms and modified stock cabinetry. The CA Hideaway bed is our top of the line system which is designed to have a two-piece door attached to the base of the bed, with the top doors automatically becoming the foot-board when the bed is lowered. The CA Hideaway bed has an adjustable tensioning mechanism that provides a safe, light and easy lifting action. The door reveal can be adjusted for that “perfect look” after installation. 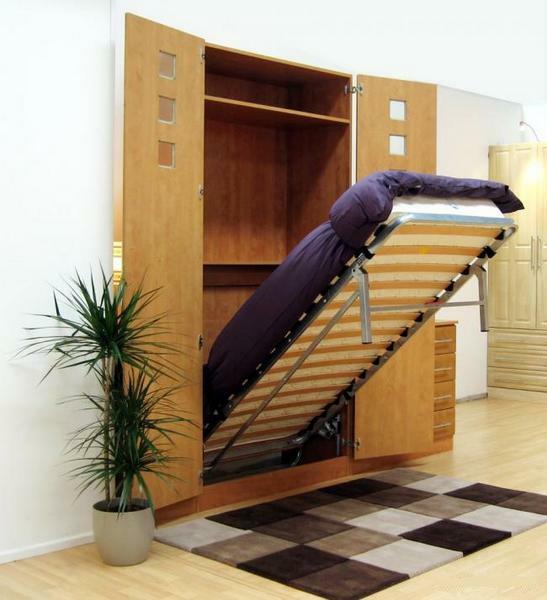 A bed room comes to life in just 20 seconds by opening the wall bed cabinet door. Selby Furniture Hardware Company does NOT offer cabinetry for wall beds. We will however offer referrals to professional custom cabinet and furniture makers.